CNN continued what has become a precipitous decline in ratings for its prime-time programs in the first quarter of 2010, with its main hosts losing almost half their viewers in a year…. CNN had a slightly worse quarter in the fourth quarter of 2009, but the last three months have included compelling news events, like the earthquake in Haiti and the battle over health care, and CNN, which emphasises its hard news coverage, was apparently unable to benefit. Even the stars are getting crushed. Anderson Cooper has plummeted. 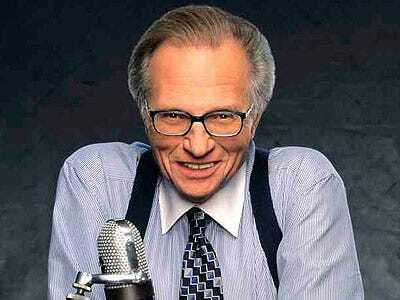 Larry King just had his worst quarter ever.